Fossil records indicate that beaver have lived in North America for approximately 6 million years. Their range has covered most of the continent with the exception of extremely water less desert areas, the arctic tundra, and the peninsula of Florida (due to predation from alligators). They survived and thrived despite ice ages and other challenges, adapting to a wide variety of landscapes. Beaver chewing and damming kill some trees, but this opens up heavily forested areas which create important new habitats. Over the ages many species evolved to take advantage of the ecological niche created by beaver ponds. This is why beaver ponds are equal to rain forests and coral reefs in the biodiversity they support. Due to the vast number of species that rely on beaver ponds for their survival, biologists recognize the beaver as a “Keystone” species for North America. For thousands of years Native Americans hunted beaver but self-regulation and an understanding of the beaver’s ecological importance maintained healthy beaver populations. When Europeans colonized North America, beaver pelts were extremely valuable for clothing and European felt top hats since the European beaver was nearly extinct. Beaver pelts were so valuable, that they were actually used as currency by the colonists. 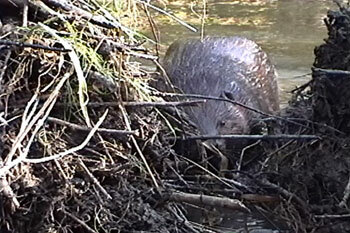 Being easy to locate and trap, beavers were quickly wiped out near settled areas. Unfortunately because the ecological importance of beaver and their created wetlands were unknown to Europeans at that time, by 1750 beavers were nearly completely extirpated from Massachusetts and most of New England due to the combination of unregulated trapping and clearing of the land for farming. Trapping for beaver pelts led to the exploration and settlement of western frontiers, but the same decimation of beaver populations was repeated all the way to the Pacific Ocean. With the loss of beavers, their dams disappeared and countless wetlands were drained. Our government actually encouraged the draining of wetlands, thinking they were “wastelands”, so that farms, houses, roads, railroads, etc. could be built in many areas that had traditionally been wetlands. This attitude led to over half of this country’s coastal and inland wetlands being lost to development, and most of the rest degraded. Scientific research has subsequently proven that wetlands are not “unproductive wastelands”, but actually perform a myriad of functions that directly benefit humans as well as wildlife. 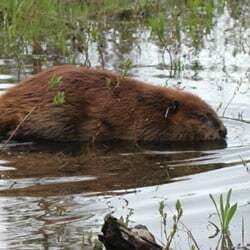 (See Benefits of Beaver Ponds) With this greater understanding of their value, in the 1960’s many states passed wetlands protection laws to prevent the loss of this resource. In the 1930’s beaver were reintroduced to Massachusetts by state Fisheries and Wildlife biologists who recognized their importance to the environment. Since many abandoned farms have reverted to forest, the state’s beaver population increased annually. As the beaver population expanded conflicts with humans sometimes occurred. Initially when this happened the beavers were trapped and killed and the wetlands they created were drained. Eventually new beavers relocated to that area and the cycle repeated itself. 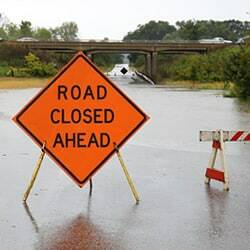 For years attempts to coexist with beaver at conflict sites using flow devices (beaver dam pipes or culvert protective fences) were largely unsuccessful due to poor flow device design. More recently, pioneering flow device development by Michel LeClair in Ottawa Canada, Skip Lisle in Maine, Clemson University, and Beaver Solutions have dramatically transformed beaver conflict mitigation efforts. While trapping is sometimes the only solution for a conflict site, successful, cost-effective flow devices, are now being utilized extensively throughout Massachusetts and other states with excellent results. (See Beaver Management study) These flow devices protect human property, health, and safety for many years while retaining as much valuable wetland habitat as possible.